Freezing of haskap berries takes place right after its collection and precise sorting. 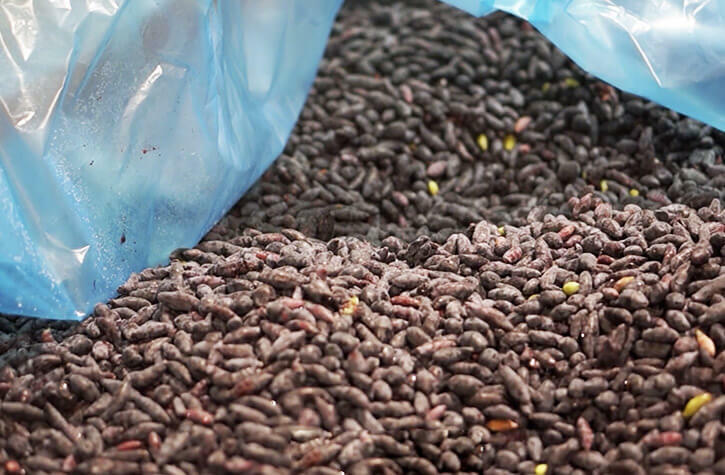 Only ripe fruit of the highest quality goes to the cold store. They are perfect for the production of juices, jams, preserves, yoghurts, as well as as an addition to muesli, ice cream, shakes, etc. 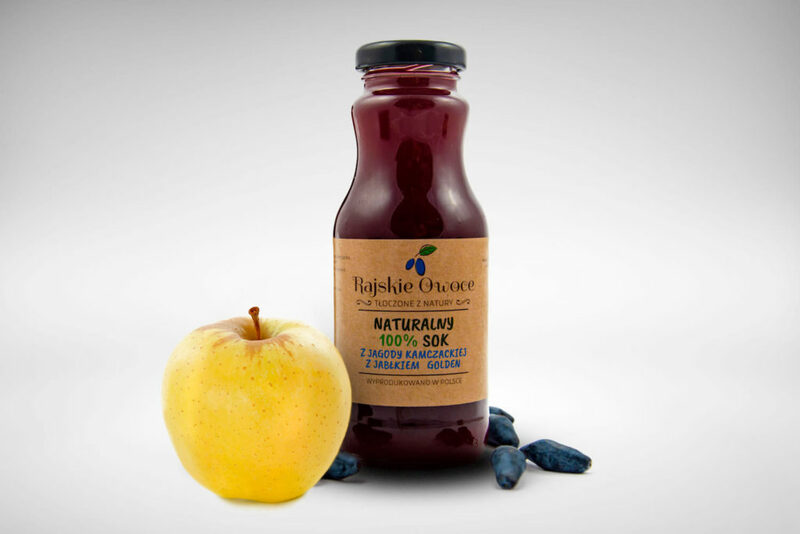 Juice directly squeezed only from ripe fruits of haskap berries, not from concentrate (NFC). Pasteurized at low temperatures, so that it retains all the nutritional value and taste of fresh sweet fruit. No added sugar! Drink 100 ml daily to provide your body with the right dose of antioxidants and vitamins and to effectively maintain health and energy. Juice directly squeezed only from ripe fruits of haskap berries with sweet Golden apples, not from concentrate (NFC – not from concentrate). Pasteurized at low temperatures, so that it retains all the nutritional value and taste of fresh sweet fruit. No added sugar! Drink it every day before a meal and whenever you feel thirsty. Juice will provide your body with the right dose of antioxidants and vitamins. It stimulates to action and tastes great. 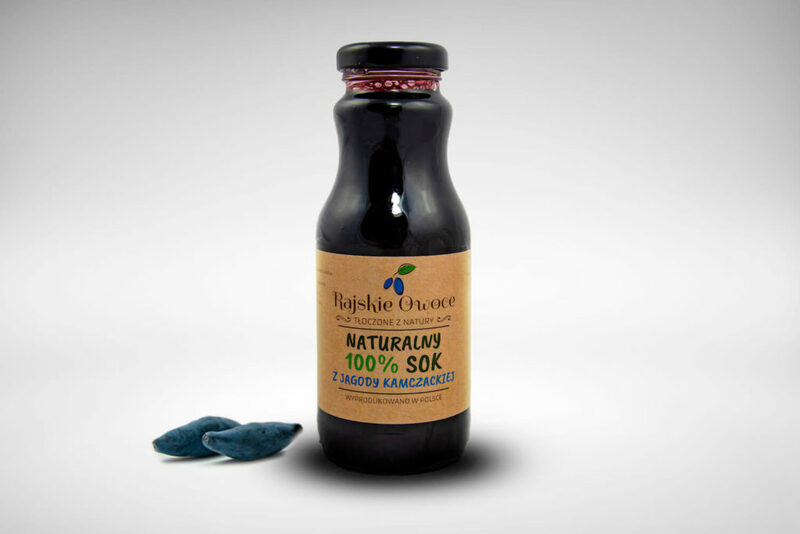 We produce 1 kg of concentrate with up to 6 kg of fresh fruits. Concentrate has a lot of nutritional value and is without added sugar, artificial colors and other unnecessary enhancers. 100% fruit. Mix 10 ml of concentrate with water, juice or tea and enjoy the unique taste. It also fits perfectly as an addition to muesli or yoghurt. 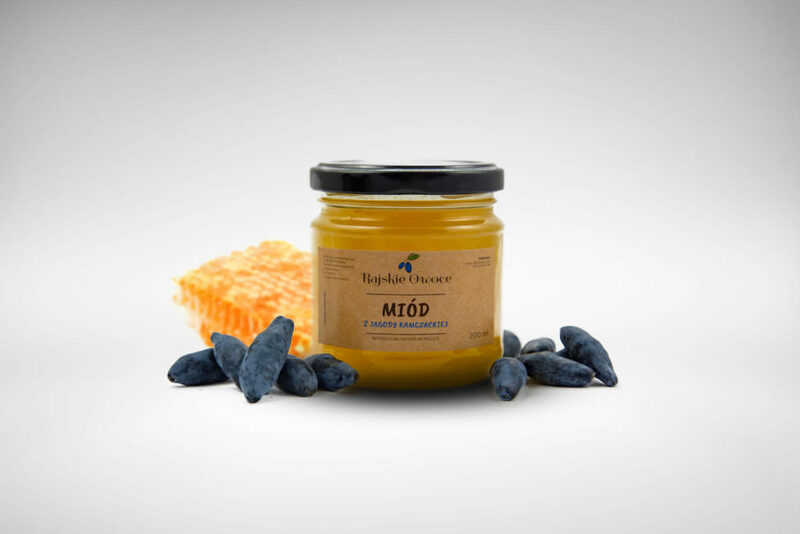 It’s probably hard to believe, but our haskap berry jam contains only fruit and a little sugar! We produce 100 g of jam with 80 g of fresh haskap berries. Jam from haskap berries is very aromatic. It tastes great on sandwiches, as fillings in sweet buns and croissants, in the morning porridge or homemade pastries. We combines the deep and dry taste of haskap berries with sweet, ripe strawberries. A great combination. The jam smells of summer! You can eat it in combination with bread with butter and with white cheese, as a filling in sweet buns and croissants, in the morning porridge or homemade pastries. 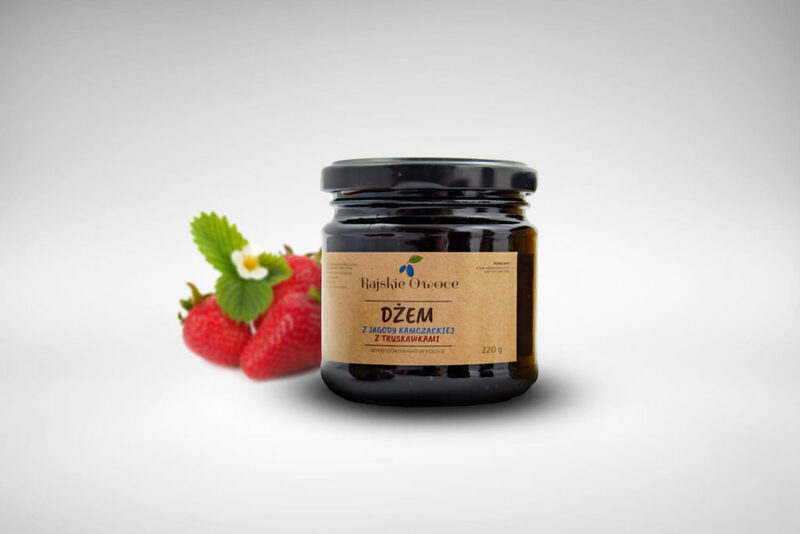 The perfect combination of two extremely healthy ingredients: Polish natural honey and haskap berries. A double portion of health with a unique taste. It tastes great on bread spread with butter, with white cheese, as an addition to muesli, a sweetener for tea or other beverages. 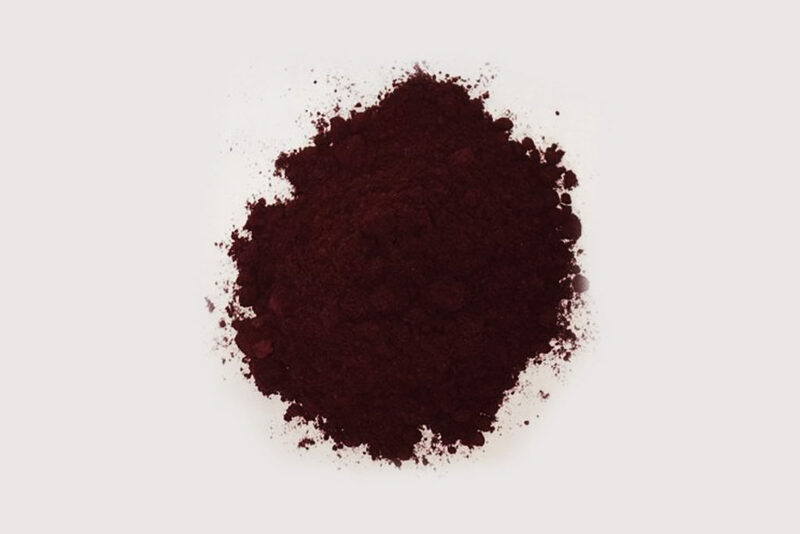 Anthocyanins in haskap berries improve visual acuity and accelerate the regeneration of eyesight after increased effort. In addition, they remove toxins from the body and as one of the few fruits in the world contain iridoids, which show a wide range of therapeutic properties. They work protectively on the cardiovascular system, reduce sugar levels, have analgesic and anti-inflammatory, anti-cancer and antiviral properties. Especially recommended for working people, exhausted by chronic diseases or after aggressive pharmacological treatments.